New Belgium Brewing and Ben & Jerry's are launching their 2nd ice-cream inspired beer. This time, Chocolate Chip Cookie Dough is the inspiration. Last October, the duo released Salted Caramel Brownie Brown Ale. I tasted and wrote about it last fall. While it sounded great on paper, it wasn't well executed, in my humble opinion. You can read my Salted Caramel Brownie Brown Ale review here. For more details about Chocolate Chip Cookie Dough Ale, check the brewery's news release below. I'll be sure to write about it after I taste it. 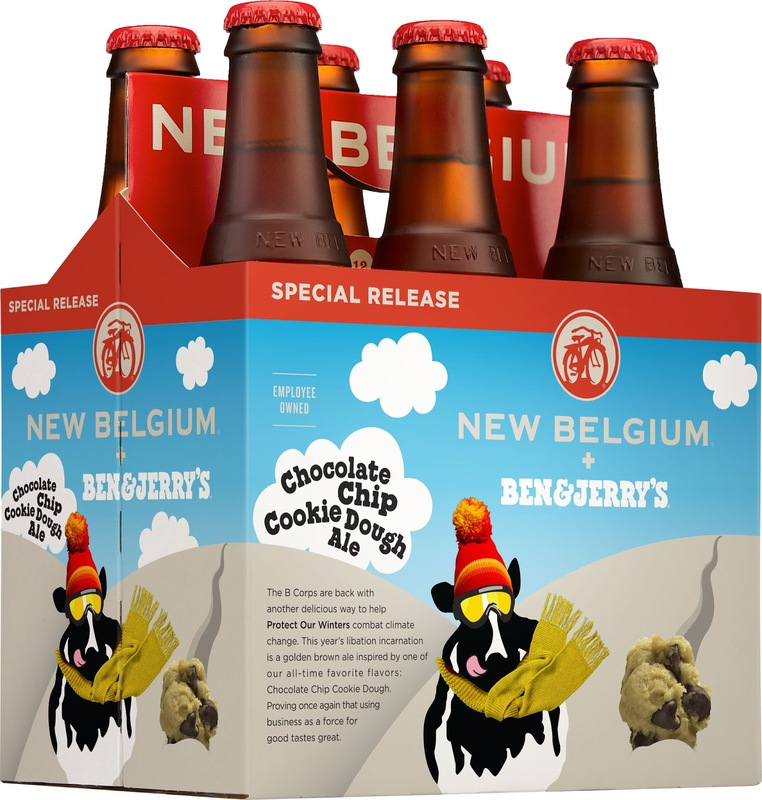 Ft. Collins, Colo. – June 20, 2016 – New Belgium Brewing and Ben & Jerry’s are teaming up once again to create a new ice cream inspired beer while raising awareness about climate change. Inspired by one of Ben & Jerry’s smash hits, New Belgium has developed Chocolate Chip Cookie Dough Ale, a special release beer to hit the shelves in the fall of 2016. Fifty-thousand dollars in proceeds will benefit Protect Our Winters (POW) a non-profit dedicated to raising awareness around climate change. As Fellow B Corporations beholden to stakeholders, including their communities and the environment, the two like-minded businesses have long championed similar causes.